Over the past year the RIS students have formed a Sustainability Club, and it’s great to see even more students engaged! 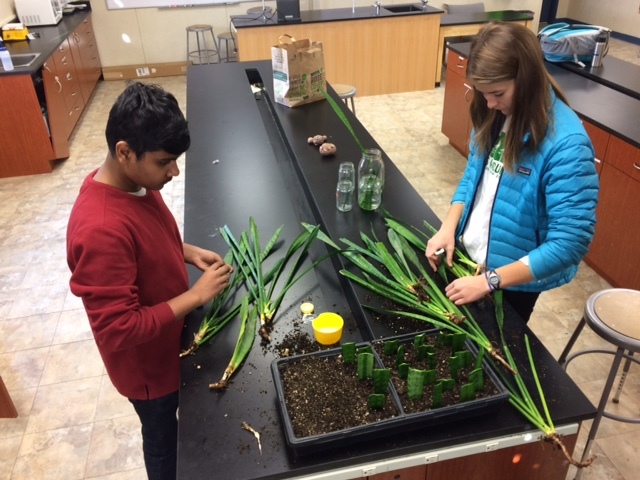 While Plant Club and Sustainability Club often have similar goals and sometimes even share projects, Sustainability Club is focused on a broader range of questions and issues than just the biotic. For me, Sustainability Club + Plant Club = RIS Green Team, an unbeatable combination! The Sustainability Club became aware of classroom air quality and its effect on learning on a day when a classroom was particularly stuffy. One result of this was a modification to the HVAC systems and another was a cool project where the Plant and Sustainability clubs got together to propagate plants for classrooms! Snake plant, or Sansevieria sp., is known for its ability to absorb indoor toxins and for converting CO2 to O2 – even at night. 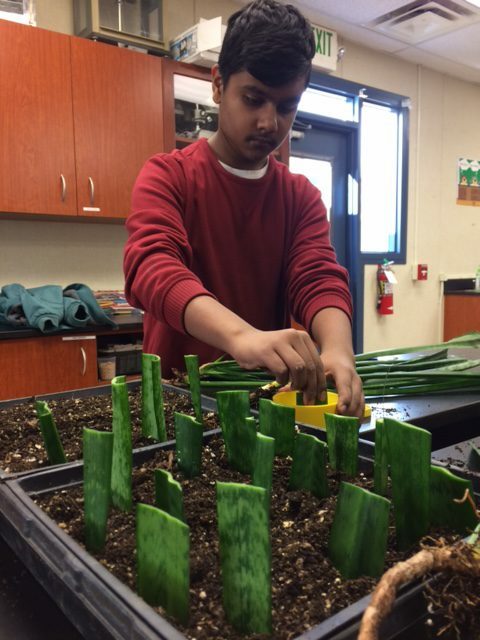 The clubs were really excited to try propagating it from a big mother colony to make many more plants to provide to classrooms. We will update this post once the cuttings begin to successfully root!